Synopsis : Seven high school students that got caught in an airplane accident wake up, in a middle age like fantasy different world where magic and beast-man (juujin) exist. I thought this had been posted already, but it looks like I'm wrong. Maybe it was mentioned in the previous long topic before we had this section. Anyway, you got a vote. I've been checking out the manga scanlation of this one and I like it. @smashman42 There is a bit of both I guess? There's also world-building, revolutions, etc. Give the manga a try maybe. Out of this world Engineer? This series seems like it'd be wild. Everybody seems so different. Edit: Here's the light novel trailer. Got a lot of insert images. I'm curious how wordy the novel version will be whenever any of these absurd geniuses explain stuff, but other than that I think it's a winner. 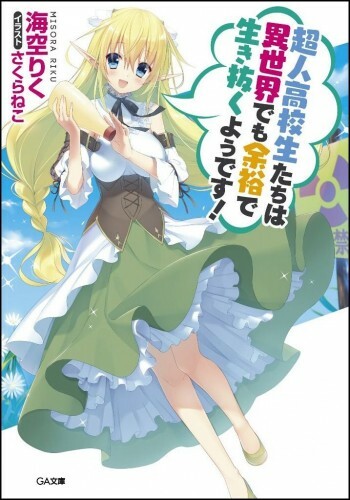 This is written by the author of Rakudai Kishi no Cavalry btw, for those interested. Already word of Yen Press doing the manga, though no mention of light novel, probably going to be like how Yen Press picked up "That Time I Got Reincarnated as a Slime" light novel version but not the manga version, instead Kodansha Comics picked up the manga. The manga has been enjoyable. Note to self: surface to air missile batteries do not react kindly to beer. ANIME CONFIRMED for this Year!! Huh unexpected, hopefully that increases the chances of the LN getting picked up by someone. @catstorm That someone, if it gets picked up, will be Yen Press. They already have the manga and, apart from Ryuo's Work is Never Done, every other GA Bunko title we have in English is from Yen. 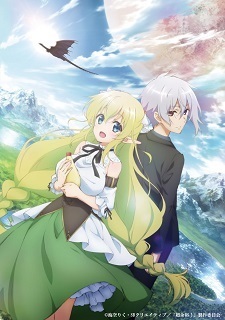 Between this and Arifureta, it seems the next trend in isekai anime is going to be entire classes being transported. Having said that, it looks like it could be a lot of fun. I'm a fan of OP characters, and the idea of having a large group of them working together is exceptionally appealing. I haven't read anything other than the anime website, but it seems all these students are OP before ever being transported. That in itself, although it feels like a bit of a stretch at this point since it implies constraints on the real world (I don't think any high school students possess world-breaking abilities anyway), is slightly refreshing since it gets away from the "god gave me all these amazing skills so I can save the world" trope. This should be a lot of fun. Could someone change the English title for this series to the official localized manga version from Yen Press? (High School Prodigies Have It Easy Even in Another World!) I’ve been searching for this novel but couldn’t find it since OP gave it a different title.